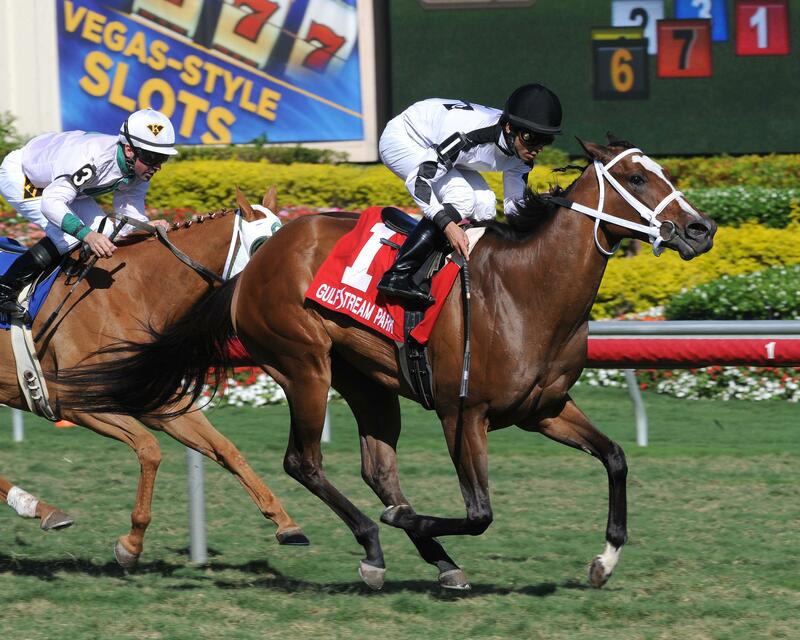 Frank Carl Calabrese’s Sabrina’s Dance led a 1-2-3 OBS sweep of the $60, 000 Madcap Escapade Stakes at Gulfstream on Sunday, beating Alydarla (April ’11) by a length and a quarter, with My Due Process (March ’11) another half a length back in third. It’s the first stakes score for the 3-year-old Florida-bred filly by Werblin, sold for $1,700 by Crowe’s Nest Farm, Inc. (Joanne Crowe), Agent, at the 2009 OBS Fall Mixed Sale. The win gives her a 5-3-1-0 record and earnings of $79,585.